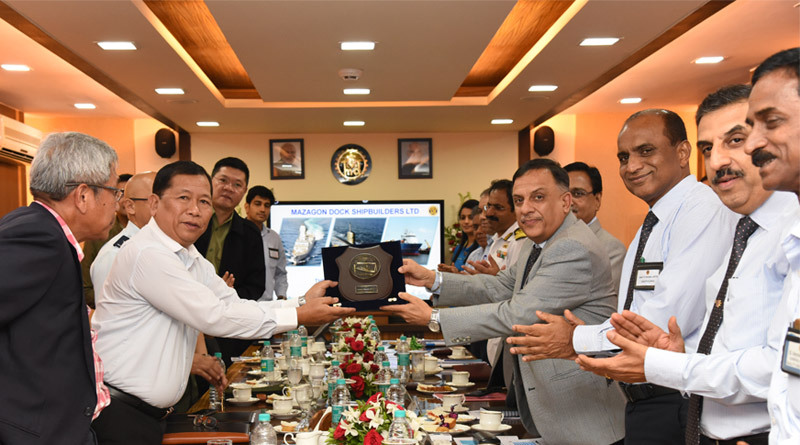 Philippines sent a fourteen-member delegation team to Mazagon Dock Shipbuilders Limited, India’s premier warship building shipyard, on June 26. The delegates were received by the Director (Corporate Planning & Personnel), MDL, Cmde TV Thomas (retd). The yard facilities including under construction ships, modernisation projects, heritage gallery etc were shown to the delegation. A detailed presentation exhibiting MDL’s capabilities was also shown to them. The head of the delegation, Col Jesus Rey Avilla, was extremely impressed with the facilities and professionalism of the workforce at MDL and conveyed his appreciation for the highly informative briefing and impressive accomplishments of the yard over the years and expressed keenness to have the business partnership with MDL.